Hi Guys, Yesterday I was trying to register for Airtel Do Not Disturb (DND) service, for that I called to customer care center for several times, They told me to send some sms on 1909 and so on. In this process I observed something and found new trick to send free sms from Airtel number in India. I would like to share this trick with you guys, so you can send daily free 100 sms from your Airtel number in India. 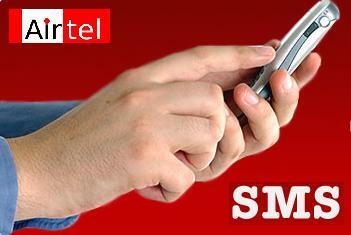 Now a days, Airtel is offering daily sms pack of 100 sms. You have to pay standard sms charge Rs. 1.50 or 1 Rupee for your first sms and after that you will get 99 sms free.SO today i bought something with which you don’t have to pay single penny.Just follow the simple steps below to send free sms from Airtel number. Send your first sms of the day to 543210 or 1909. Keep in mind that you need to send “blank sms”, Dont write anything in the message and send it to 543210 or 1909. After this you will get 99 sms free for any mobile number in India. This is a great trick and worked for me and I am quite sure that this will work for your Airtel number too. So guys, hurry up and follow above procedure and start sending free sms from Airtel in India.